Catching up on a film I’ve not seen since oh, I don’t know when. Harry Palmer, the anti-Bond, offers a grittier version of the spy world in 1965. Rather than the exotic locales and tony wardrobes, we have Caine in a fairly hep look which includes those iconic glasses (which now seem to be de rigeur for serious actors acting in the past as most Matt Damon films demonstrate). 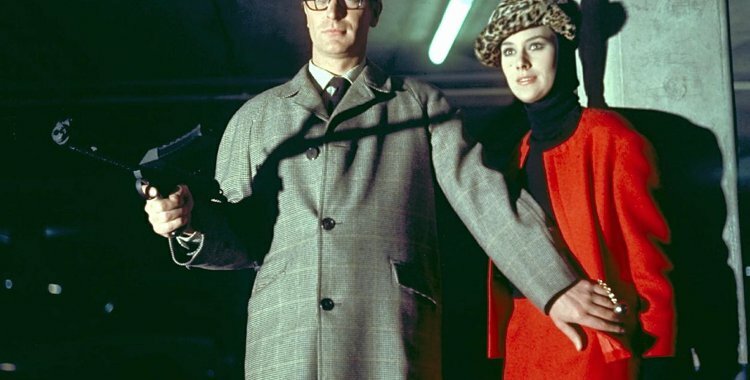 This film doesn’t get the love lately that Get Carter does, but it stands up well and offers a great time capsule of mid-60s London. I love the scene where Caine and Guy Dolman push trolleys through the supermarket, complaining about this new American way of shopping.